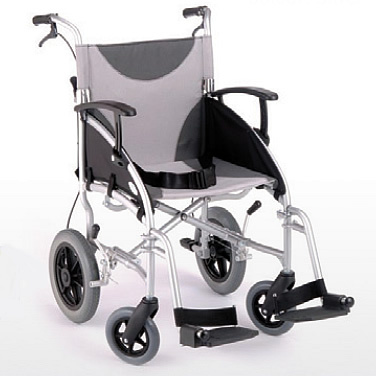 As you can see, the Z-Tec Lite Folding Transit wheelchair is a great looking folding aluminium wheelchair that has all the features but is very very light at just 10.7 Kgs. The ZT Lite has struck an ideal balance of high levels of comfort and stability. A great deal of effort has been put in to make this a fantastic looking wheelchair and to make it stand out from the competition. It comes with back and side skirt storage pockets and adjustable armrests, swing away footrests and a fold down backrest, making reaching for things behind far easier. This wheelchair is available in silver only.